100 Mile House, B.C. 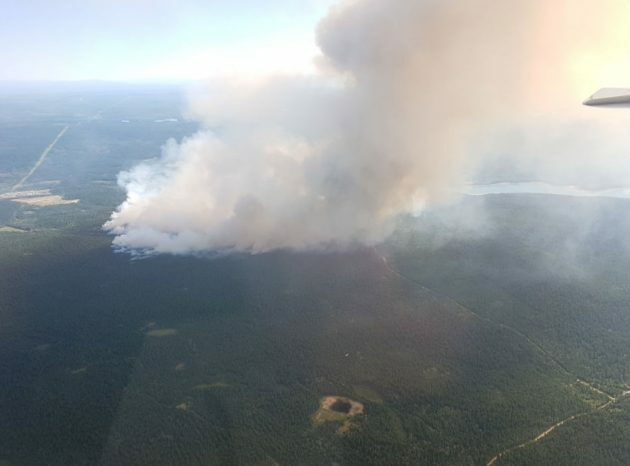 – Mitch Campsall, Mayor of 100 Mile House, has reacted to the 1,200 hectare blaze burning just west of town. The Gustafsen fire started last night and grew from 500 to 1,200 hectares overnight forcing the evacuation of thousands of property owners. The cause remains under investigation and it is zero per cent contained. He says it brings back memories of last year’s devastating wildfire in Alberta. Campsall can’t remember a wildfire so close to town and admits the town is on edge. As 250News previously reported, a 50-hectare wildfire in Ashcroft has also closed Highway One in both directions from Cache Creek to Ashcroft. No word yet on when the highway will reopen.